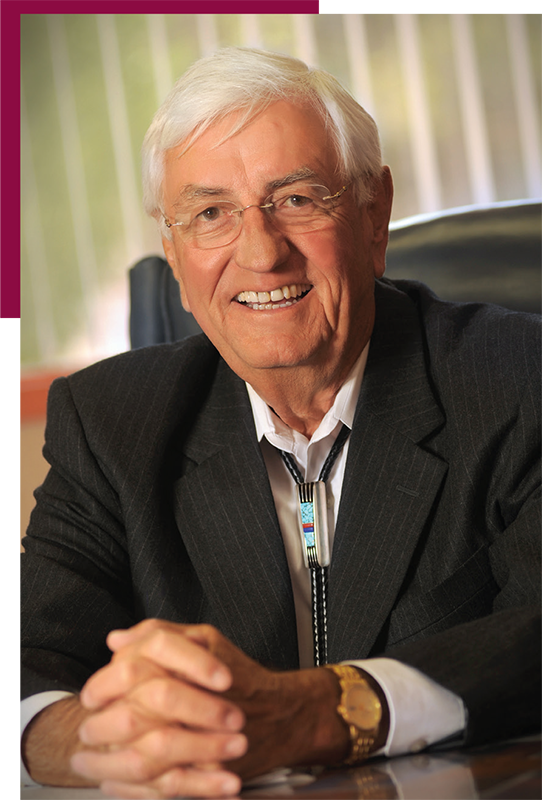 This summer, I will officially retire as Chancellor of New Mexico State University. During my time here, it’s been an honor to meet and speak with so many alumni and friends of this great university. NMSU graduates continue to do amazing work in research, community outreach, business and other endeavors that improve lives each day. I’m thankful to have served our university for more than 30 years. While I may be leaving, NMSU still needs your assistance. Our $125 million “Ignite Aggie Discovery” campaign is more than 70 percent complete. This fundraising effort benefits our entire NMSU system, and more than 2,600 donors have already invested in our students and our mission. Thanks to your support, and the efforts of our outstanding team in the NMSU Foundation, our alumni participation rate has increased 25 percent in the last several years. During that same time, the rate for our peer universities has decreased more than 27 percent. Everywhere I go, across the state and the country, everyone is betting on the success of NMSU. They say, “I went there. I’m now in a position where I can help, and that’s exactly what I want to do.” The Aggie pride I’ve seen first-hand from our alumni and our state is inspirational, and it’s the reason we’ve been so successful.